An overcast day with storms in the distance, the Pres, my son and I were heading to the local High School when we came upon this one. Very nice barn and love that little red one too! Dark storm clouds - they do look dramatic! Great farm. Looks like a huge place. The storm clouds look like they're ready to burst. 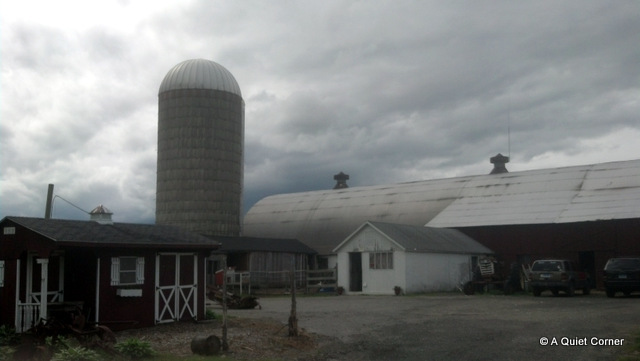 Ominous looking clouds, but a great looking barnyard/farm.